Beata has more than two decades of experience in the International Aesthetics Industry as a skincare therapist. She is a specialist in Holistic Wellness and rejuvenations with a resume that includes training by dermatologist Dr. Irena Eris in Warsaw , Poland. She has diplomas from Scuola di Belleza in Rome, Italy, and Christine Valmy International School in New York . Dedicated to the pursuit of excellence for beauty, wellness, and to accomplish her dream in 2005, she started holistic skincare boutique. She looks forward to further sharing her healing wisdom with her clients regarding the balance, simplicity, and many benefits of the natural approach to health and well being. Step into the institute and you’re immersed in a unique experience that is rooted in old Europe and created for people who are conscious of their needs, where prevention is the best medicine and achieving harmony of body and soul is fundamental. We are the in-between place for those people who want more than a spa facial, but don’t want the clinical walls of a dermatology office. In customized facials, given in the institute, health, beauty and harmony yields powerful results. All treatments are based on holistic medicine and are designed to balance and restore energy flow. Beata’s signature treatment that started it all. A unique combination of microcurrent and oxygen-infused therapy to refine, lift, and tone your skin. The immediately visible results are smooth, firm, youthful-looking skin with a radiant glow. Every session triggers collagen and elastin production for immediately visible results and cumulative benefits over time. Is an FDA-approved electronic fractional device that is used to rejuvenate the skin and improve the skin surface by reducing fine lines, expression lines, wrinkles, enlarged pores, and acne scars. Prior to the procedure, topical anesthetic cream is applied for patient comfort. Fallowed by two sessions of LED light treatment to reduce healing time and maximize collagen production. A pre-party essential treatment on the celebrity circuit. Using medical-grade oxygen plump and hydrate skin, this rejuvenating facial gently erases dull skin and fine lines to leave skin silky smooth with a renewed radiance. This facial delivers instant gratification and improves clarity, texture, and tone with regular treatments. Helps adolescents avoid and address skin problems and learn good cleansing habits. Incorporates state of the art anti-aging technologies and is the treatment responsible for many of the radiant faces you saw on the red carpet this year. This facial resurfaces the skin with a nutrient-rich liquid exfoliation, leaving the skin baby smooth. Next, microcurrent contours and depuff your complexion and a collagen mask infuses it with vital nutrients. Finally ending with LED light and pure oxygen therapies which increases cellular metabolism, circulation, oxygenation, and lymphatic drainage while providing anti-inflammatory benefits. The results are healthy, youthful and glowing skin. Live whole . Eat well . Feel amazing! Nutrition is the source for balanced well being. We encourage proper diet and exercise, so we can have a positive outlook in life. BEMER – with those 6 conditions improved, the body’s cells can now fight most of their “own battles”. Learn to listen to your body … a consultation complete with meal plans, full nutrition and dietary assessment, individual goals and recommendations, grocery shopping guides and lists. Ancient Chinese blend of foot and hands massage strokes and acu-pressing intended to stimulate circulation, fallows a warm paraffin pack to relief the tension and detox. Practiced for centuries, successful for sinus condition, sore throat, ear aches, chronic headache, allergies and hearing improvement. Our mission is to build passionate customer loyalty and long-lasting satisfaction by providing the purest, finest natural skincare products that deliver significant, visible, and beneficial results. As we begin this new century, our quality of life and the number of years we can expect to live are greater than ever before in the history of mankind. Looking and feeling young, healthy and attractive are more important than ever before. Ageless LaCure by Phyto5 pure organic beauty! SkinCare products formulated in alignment with the Five-Element and Five-Season Theory of Traditional Medicine. They are expert at synergistically marrying natural high-grade essential oils and plant extracts in just the right combination and the most perfect proportions to create high vibrational skincare, or as we call commonly call it at PHYTO5, energetic. 100% Swiss-made, pure Swiss mountain water, only high-grade essential oils used, award-winning, cruelty-free and not tested on animals, eco-friendly and fair-trade sourced, sustainably developed, vegan, gluten-free, certified organic, natural, air-less packaging on most products. Unlike traditional water-based skincare products, the base of Le Mieux skincare products features the Master Molecule- hyaluronic acid. Specializing in innovative skincare products based on extensive anti-aging and cell growth research. The company offers a unique and comprehensive range of products combining the latest breakthrough in natural, herbal and botanical ingredients with innovative, state-of-the-art formulae. The unique revolutionary ProCell treatment system combines the power of stem cell science human growth-factor serums with MicroChanneling and microdermabrasion to deliver profound results. It gives better results with shorter downtime than other procedures such as fractional lasers and chemical peels. The highest quality tonic herbs and superfoods, always organic or wildcrafted, consciously sourced from around the world. Adaptogens are naturally occurring substances that help the body in natural processes, including digestion and regulating stress levels. PureScience CBD hemp oil supplements are manufactured from ORGANIC industrial hemp using chemical-free supercritical CO2 extraction process. They contain a full spectrum of cannabinoids to ensure you get the maximum benefits from the entourage effect whereby many cannabinoids work together to provide maximum health and wellness benefits. Facials make the perfect gift because they are known by ability to look great on anyone, anytime, anywhere. Gift Certificates are available in any denomination, are transferable but non-refundable, and can be redeemed for skincare services as well as boutique purchases. 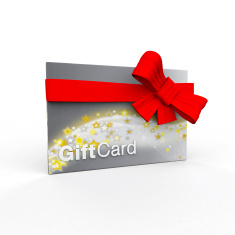 Please call (239) 263-9994 or e-mail a request, and we will mail the gift card to the recipient promptly.